In the Wizard of Oz we were told that to enter the Emerald City, everyone had to wear green tinted glasses to “protect their eyes” from the “brightness and glory” when in fact it was the method by which the city itself was made to appear green. The first great illusion of the Wizard in the book. Canadian housing feels much like this. 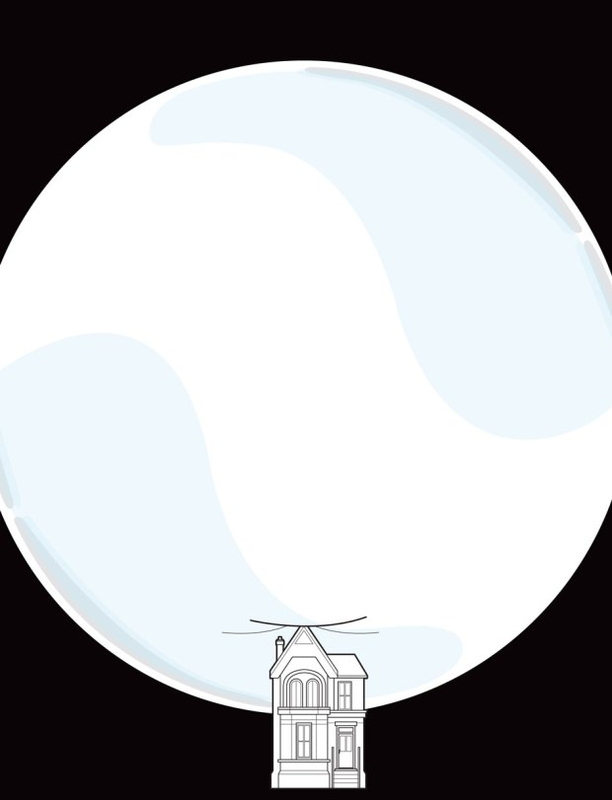 The worse the situation gets the more we are assured that the “brightness and glory” of the housing market is unassailable or simply not an issue, and we are invited to don our own emerald glasses. The latest installment challenging that gilded view of housing and mortgages come from the November Toronto Life. 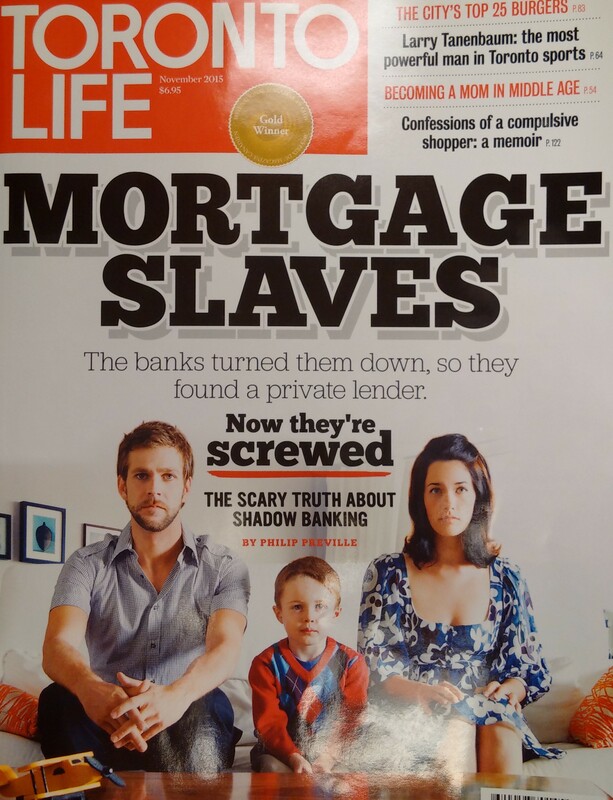 Titled “Mortgage Slaves” it is a depressing look into the world of shadow banking and sub-prime mortgages here in Toronto, which far from popular belief is a lively and growing business. Private lenders and shadow lending can turn the reasonable prospect of paying a mortgage into a spiralling mess of debt. The family they interview took a moderate second mortgage for renovations, and promptly found themselves in financial trouble. Seeking help they refinanced several times with private lenders, moving their borrowing rate up from a reasonable rate of interest to 12%. Ten years on and they owed more money than they had paid for their house and were poised to have their home sold from under them. Possibly the most frightening thing is that Canadians borrow $10 billion a year for their down payments, meaning that the whole point of down payments is undone. And it is here that we see how problems arise. Housing has gone from being one of the most conservative practices to one of the most aggressive. Down payments are small, you still only need 5% to get a mortgage. The secondary banking business is growing, precisely in the area we don’t want with less credit worthy families. 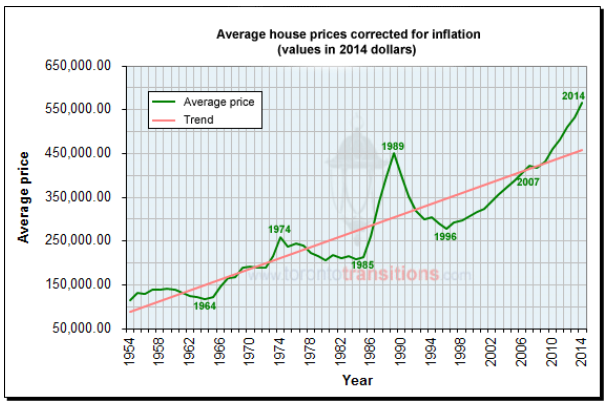 Housing prices are ballooning at rates far in excess of what would be deemed sustainable. 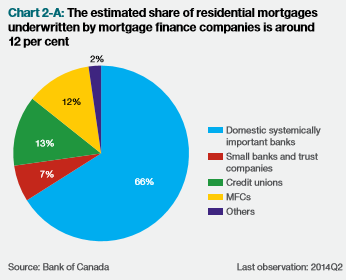 The CMHC, the people insuring many of the mortgages and who will be on the hook for significant defaults, also believes that the housing market is vulnerable to a correction. The response from political parties during the last election isn’t just underwhelming to these problems, it was counter productive. Harper had promised to raise the maximum you could borrow from your RRSP for the First Time Home Buyers Plan. Trudeau’s plan was arguably worse, allowing you to dip more than once into your RRSP. The best plan was from the NDP to cut taxes to build more rental units. 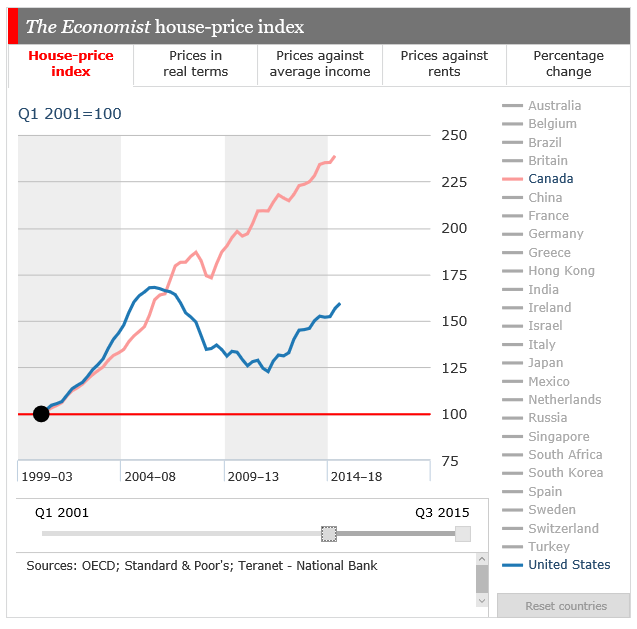 The IMF, the Bank of Canada, the CMHC and The Economist all believe that our housing market is over valued. The response from banks, private lenders and politicians is to shrug and tell us not to worry. There is complicity from home owners and realtors, who are enjoying seeing the rising home valuations and the flurry of activity that it brings. Economists don’t worry because despite the high level of debt, Canadians don’t owe all that debt at once but over decades. So what’s the concern? But it should not take a MENSA level intellect to determine that nothing good can come from growth in the continued drop in quality of the banking system or in the quality of debt on issue. Politicians and citizens have to face a reality that high house prices are only good too a point, and that taming the housing market will pay greater dividends than the eventual fall disinterested parties are predicting. But most importantly, young Canadians should know that buying a house at any cost does not define financial success. But it could spell financial failure.